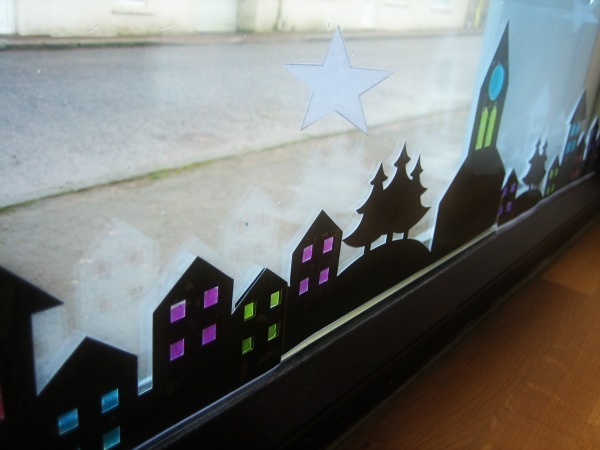 Last week I wrote about decorating the front windows of Snowdrop Cottage. 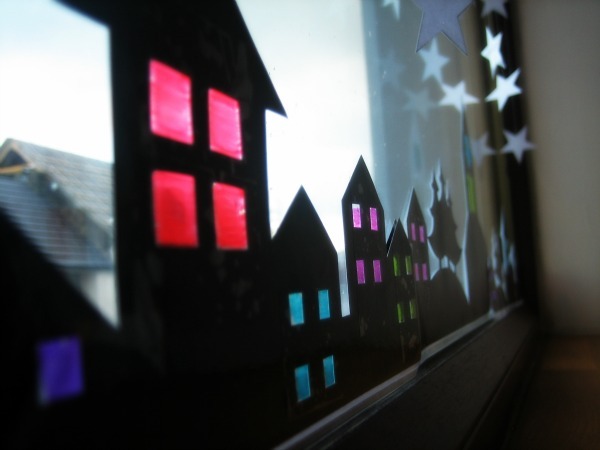 Today I'm making my village silhouette printable available to you to print out for your own use. I have used the printout in the window and along our mantel piece to great effect. I printed on to normal paper and laminated it (to strengthen and protect it) then cut it out with a craft knife to give a crisp detailed finish. 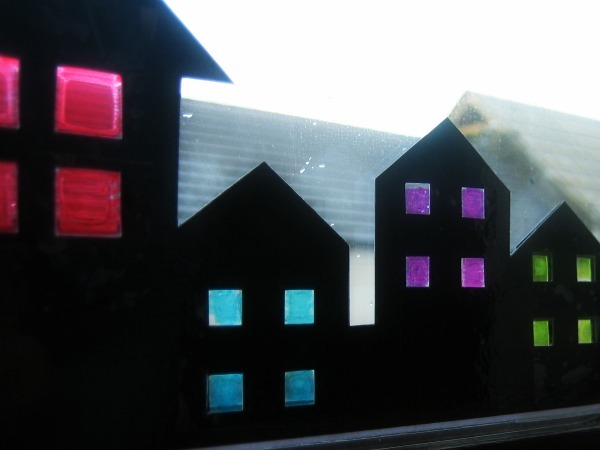 For the 'stained glass windows' use a little sticky tape over the apertures (either stick it on to the window or put tape on both sides) then colour in the tape with a colourful sharpie. Use the stars however you like - I sewed them together with invisible thread into short garlands to hang above the Holiday Village in the window. Stick the village cut out along the bottom of a notice board or picture frame. 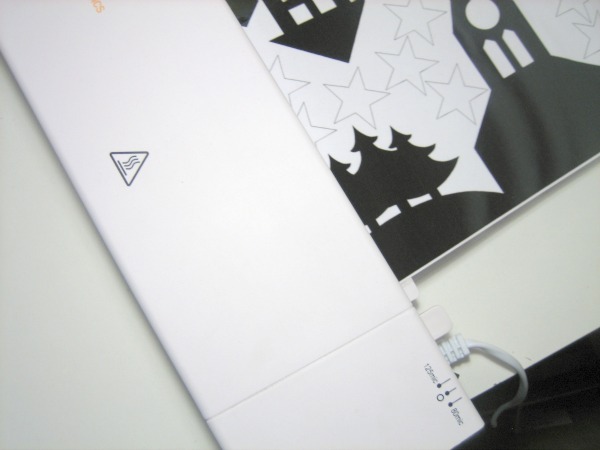 Use 2 pieces of card as a stand - cut slits and mount 2 or more lengths of the village scene one behind another. The printable is in black and made to print onto A4 paper. Feel free to change the colour or size using editing software. All rights reserved. You are welcome to print this village silhouette for your own personal use only. If you feature your makes on a blog or microblogging site (instagram, twitter, etc) be sure to link to this blog... and pop a link in the comments below so I can see your lovely creations.